The transition from teenaged years to adulthood can by trying for anyone. For Katie Humphress, it nearly broke her. Insecurities, toxic relationships – was this what life felt like for everyone else? Creative and driven, maybe even more so than she realized, she decided to take control of her destiny and looked to God to help her find her way. Starting in 2005, she reached out to others, first with a blog and then with casual meet-ups among friends and new members of sorority houses on Rose Street and Rose Lane at the University of Kentucky. Dubbed Lane of Roses, it soon grew into a website, then a movement. It also led her to write a book, Fake IDs, based on the experiences of herself and others as they found their purpose. 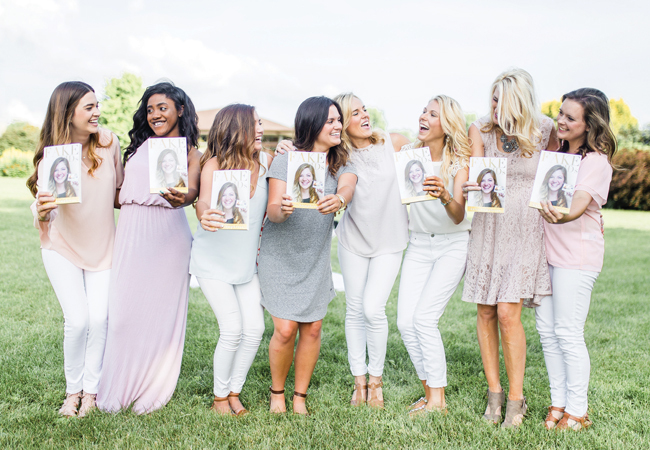 Lane of Roses has expanded far past Lexington and become a national movement with ambassadors in 14 states throughout the US, engaging with more than 4 million young women through community events, sorority new member talks, their website and social media. Little did Humphress know that in working to help others find their calling, she would find her own as well. 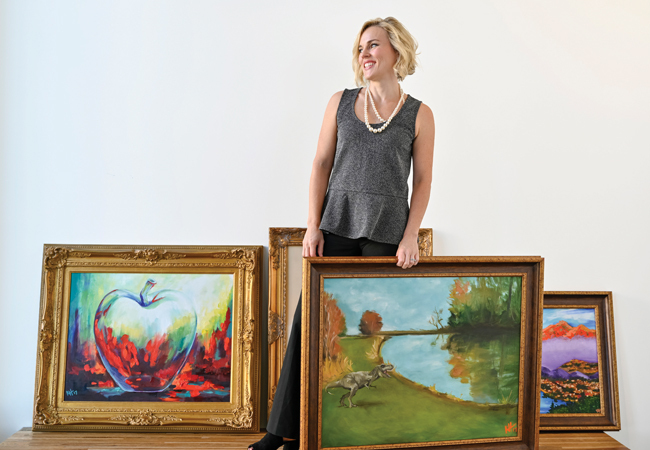 In that first art class Humphress not only found her passion, but her God-given talent. Soon others saw it as well. As she honed her craft, she was soon approached by people asking for commissioned pieces, and soon her talent became a viable business. Her art ranges from oil paintings and charcoals to acrylics and mixed media. Often whimsical and colorful, her subjects range from portraits of humans to animals, landscapes and modern art. “I felt like God told me ‘you’re an artist – I made you to be an artist.’ I’ve connected with so many people that way, people I would never have connected with otherwise,” she said. Ten years after she began talking with new sorority members on Rose Lane, she brought on her first full time employee for Lane of Roses, Rebekah Perryman. A former college student that Humphress mentored through the organization, this year Perryman took over from Humphress as the Executive Director of the organization, with Humphress stepping into the role of board chair.